"It was clean, staff were great and the pool phenomenal!!!" Have a question for Doubletree Hotel Orlando Universal At The Entrance? "Very convenient location for going to Universal." "Very clean, secure, spacious, modern very well equipped with everything you need." "It is near enough to walk into Universal Studios!" "Amazing hotel with great service and friendly staff." 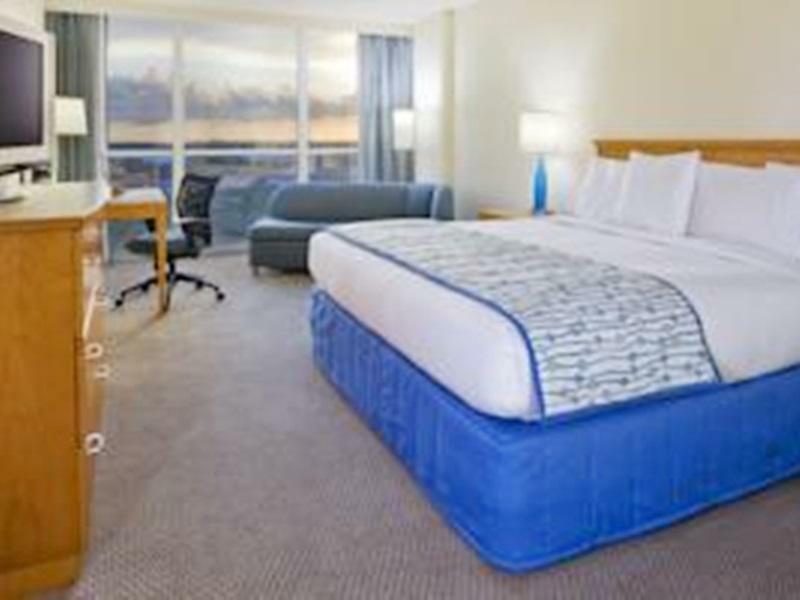 As the name suggests, Doubletree Hotel Orlando Universal At The Entrance is located right at the entrance of Universal Studios and offers great family and business amenities. A high-rise hotel, guests here stay for a number of reasons. If you're here on business, you'll love the convention packages the hotel has to offer, and if you're here with the family, you can't beat the great views and location. Get around the neighborhood on foot or just jump on one of the main transportation lines and explore Orlando at its finest. Excellent restaurants and pubs are all within a manageable distance from the hotel. 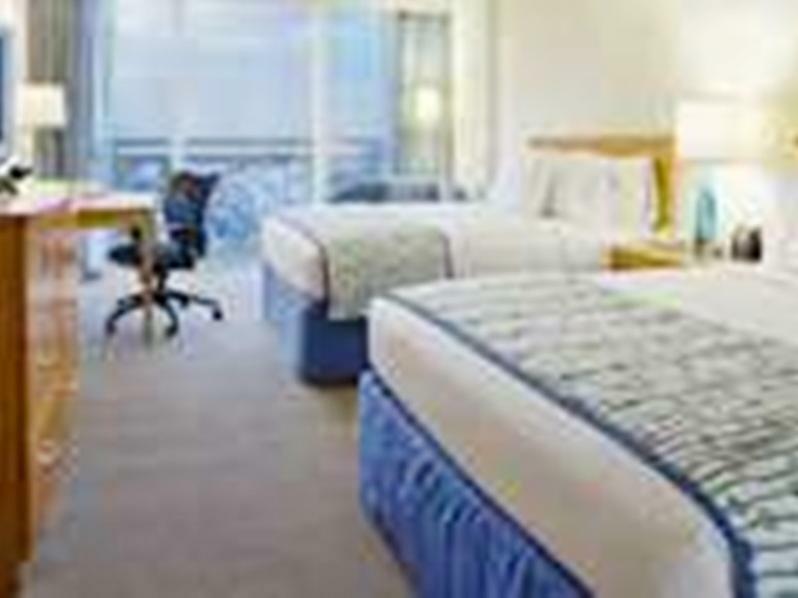 Business oriented and completely worth the money and time, Doubletree Hotel Orlando Universal At The Entrance is a fine choice for both the business and leisure crowd. Requested early check in. They did not even attempt to honor request. Totally overpriced compared to other nice, convenient hotels..plus $24.50 daily for parking. Room was freezing. Bedding was pathetic, “down comforter with no down “. Exterior room door had large spaces between door and frame allowing all hall noises into the room.. totally unacceptable. The beds were uncomfortable. A little disappointed. Amazing hotel with great service and friendly staff. They have a fireplace and Starbucks inside the hotel! Front desk was very helpful and nice. Check in and check out was easy. Very convenient location for going to Universal. It is near enough to walk into Universal Studios! Great hotel, I did not appreciate the fact that no where while placing my reservation I was informed about the $20.00 per night parking fee. This was as close as you could get to the entrance of universal studios and they also had a free (limited) shuttle service to the park. The hotel looked recently renovated and much newer than the hotel next door. We appreciated the coin operated laundry and rental car drop off at the doorstep. Parking was a little pricey though. The fire feature in the courtyard was beautiful at night. Their service is really good. Apart from the great location, there's nothing more to this hotel. The rooms are big but the bathroom and the bed are old and had a weird smell. The elevators and hallways were rundown. There where none. Maybe the bathroom. The room was comfortable though a little small. Room service was prompt. However, the bathtub was overflowing for about 2 days before issue was resolved. Overall a good experience with the staff.